Asher had fun visiting Grandpa Wright and Dagy this week. Dagy built the tower of blocks and Asher knocked it down...over and over again. 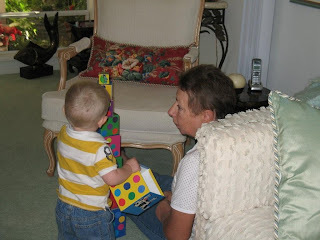 Asher even shared his blocks with Grandpa.